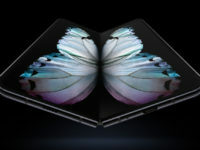 Samsung’s latest and most revolutionary phone the Galaxy Fold was unveiled at the same time as the Galaxy S10 with a unique inward-folding display that wowed the crowd. The potential of combining the capabilities of both a phone and a tablet in one form factor were impressive indeed at launch though the device was displayed under glass on the showroom floor at Unpacked 2019. 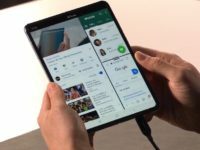 Dubbed the Infinity Flex display, the Galaxy Fold’s primary fold-out touchscreen measures 7.6-inches diagonally and uses a Dynamic AMOLED panel with QXGA+ resolution. Fold it down and you get a secondary 4.6-inch HD+ Super AMOLED panel to perform tasks that you’d normally do on a phone. Naturally, there were concerns as to the durability of a folding panel as well as the possibility of a crease forming. To address that, Samsung has just released a video showing their internal factory testing protocols for the Galaxy Fold on a massive scale. 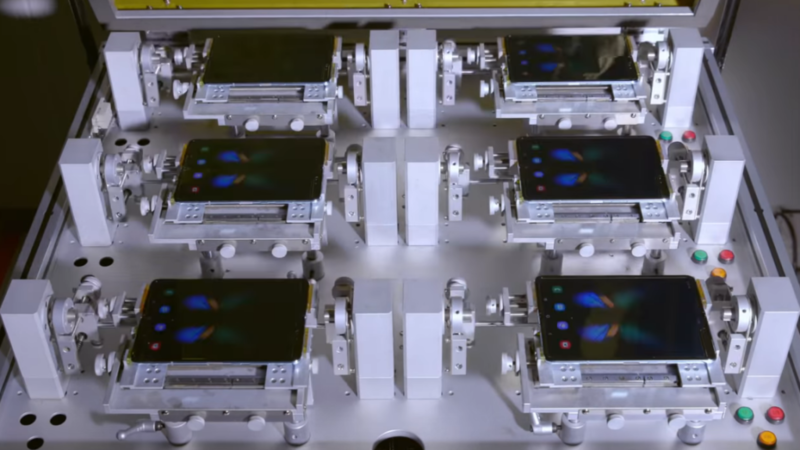 The short video shows dozens of Galaxy Folds being subjected to hundreds of fold tests with the foldable dynamic Infinity Flex AMOLED display being folded inwards and outwards. 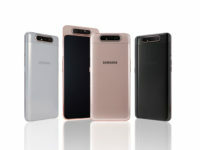 The test itself is made to ensure that the Galaxy Fold can outlast 200,000 folds which gives an average estimate of about five years of constant usage at about 100 times a day. Just to test it 200,000 times takes the entirety of a week to accomplish. And yes, the Galaxy Fold’s display seen in the videos folds completely flat when fully deployed. To test it to that level is a significant figure by any measure of the word and borders way on overkill but it speaks volumes as to the effort that Samsung is putting into making sure their debut foldable device is able to walk the talk when it lands on store shelves later this coming April. You can check out the video below and admire the Galaxy Fold and, of course, its thorough testing procedure. The Galaxy Fold is slated to hit global retail on April 26 2019 at a retail price of US$1980 which is about RM8,074. The exact Malaysia launch date and pricing have not been announced as yet but we’ll keep you posted.